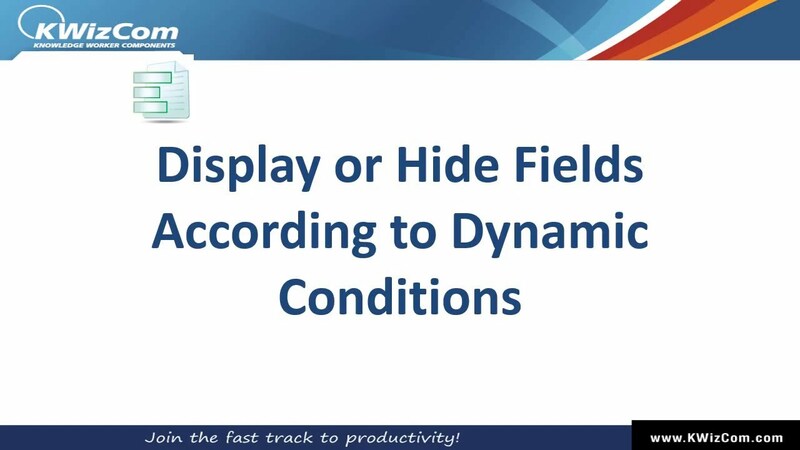 Dynamically show, hide or disable fields in your SharePoint forms! With the Field Permissions Feature you can control the visibility of specific list form fields. This way you can turn your SharePoint list forms into dynamic & context-sensitive forms that display only the relevant fields according to the current context, and to prevent unauthorized users from updating sensitive content. 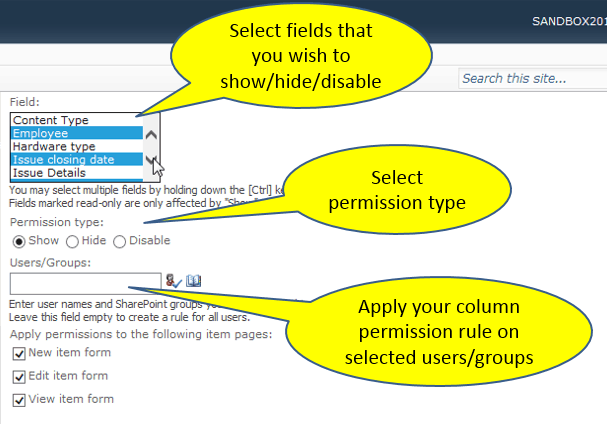 Easily manage SharePoint forms column permissions! We’ve added a new “Field-Level Permissions” management page to every list. This way, the list owner can quickly manage the list’s column permissions by simply clicking the “Field level permissions” ribbon button. You can configure which list fields should be editable, read-only or invisible. You can also target these field rules to specific list form page/s and to the required target users/groups! Dynamic column-permission rules enable you to show/hide/disable fields depending on values of other fields in the form. This enables you to add real context to your form, by showing only the relevant fields according to user’s choices in other fields. 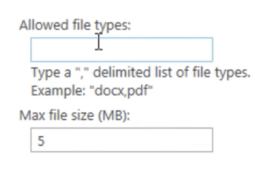 This is probably the biggest gap with SharePoint forms: they are generic and have no context. In real life, a form used by different users, or when used at different points in time, should display different fields. We all got used to working with SharePoint lists and document libraries. 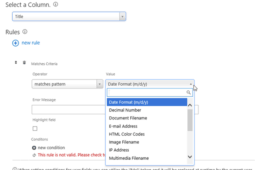 It is only natural to expect these list forms (New, Edit, View) to include all required web form features, instead of making us buy and learn a separate Forms technology such as InfoPath or any other Forms servers. The Field Permissions Feature is part of KWizCom Forms, which allows SharePoint customers to keep using the well-known list forms by turning them into powerful & dynamic web forms. This way there’s no new technology to learn and deploy, simply keep using the same SharePoint list forms that now can include all the missing web form features. Powerful & dynamic validations in SharePoint! This add-on is a sub-product of KWizCom Forms. Click Here to view product’s release notes. Download and install KWizCom Forms Professional Edition, according to the KWizCom Forms installation instructions provided in the admin guide. Once you installed KWizCom Forms, all its features (Including Field Permissions) will be available for 1-month evaluation. 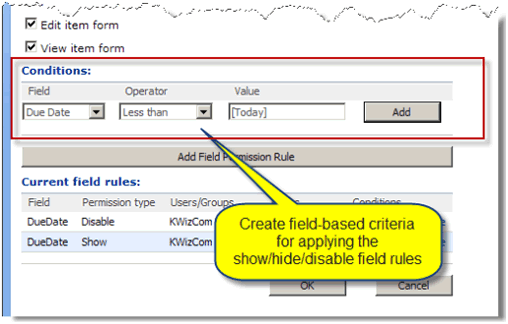 To activate the Field Permissions Feature, as well as to learn about its configuration options please follow the guidelines provided in the KWizCom Forms admin guide.